Where salt once dominated the world of mixology, pepper is now given room at the bar. 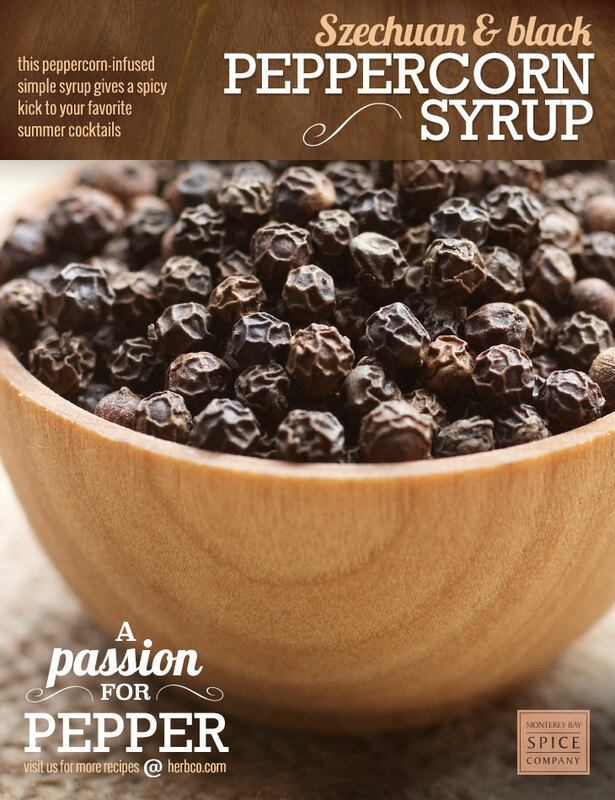 This peppercorn-infused simple syrup gives a spicy kick to your favorite summer cocktails. In a small saucepan, lightly toast peppercorns over medium-high heat just until fragrant. (They may smoke a bit, but be careful not to burn them.) Combine toasted peppercorns and water in a small saucepan and bring to a simmer. After 10 minutes, reduce the heat to the lowest point. Add the sugar and stir until completely dissolved. Immediately strain off peppercorns, pouring the reserved liquid into a clean jar. Let cool for a few minutes, then cover the jar and store in the refrigerator for up to two weeks. in the archived edition of our July 2014 email.